Bred to be a hunting dog. 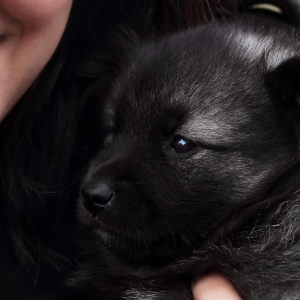 Alert, intelligent, and energetic dogs and are usually good with children. 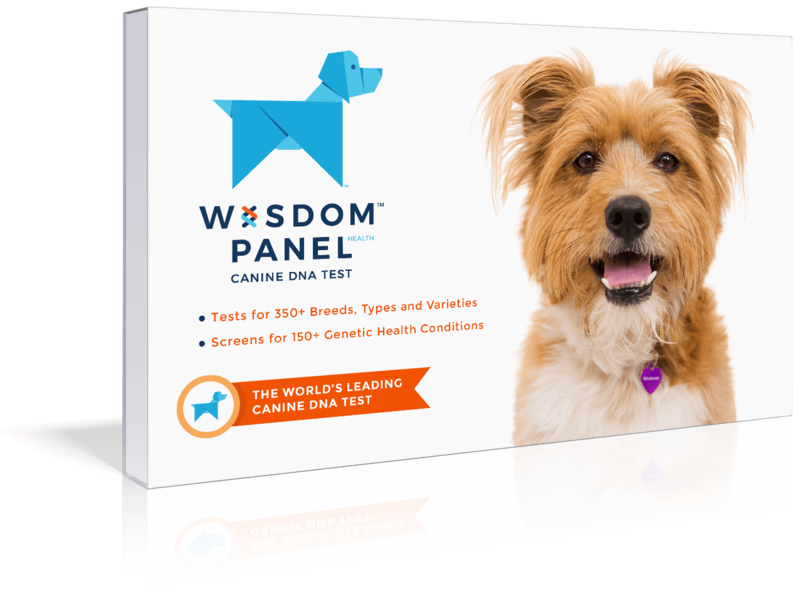 Can have an independent streak but responds well to a reward-based approach to training involving treats or favorite toys. Like activities such as tracking, hunting, herding, agility, sledding, flyball, musical canine freestyle, rally and competitive obedience. Is an excellent watch dog due to its tendency to bark. 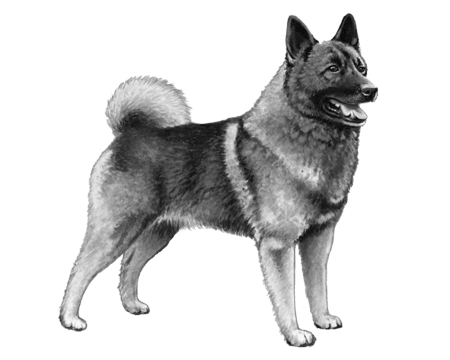 The robust Norwegian Elkhound was bred to be a hunting dog, combining the hunting skills of a hound with the physical advantages of the Spitz. Some say the ancestors of these bold and playful friends date as far back as the Stone Age. 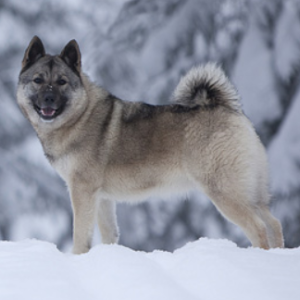 And for many years, the breed was even considered to be one of the oldest dogs in England. 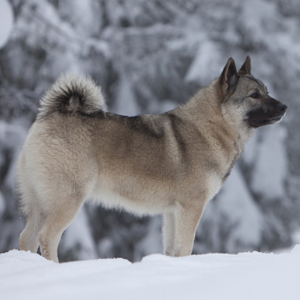 The history that’s a little more certain is that in around 5,000 B.C., the Norwegian Elkhound was likely used to hunt big mountain game such as elk and moose. 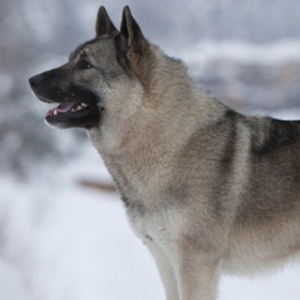 Today, they’re still very much working dogs in their native Scandinavia and are the official dog of Norway. 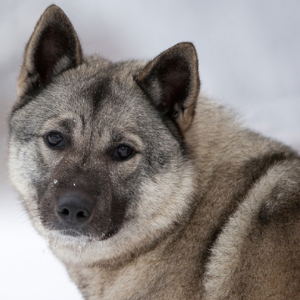 As playful and loyal as they are hardy, we’re not surprised they’re a source of national pride.